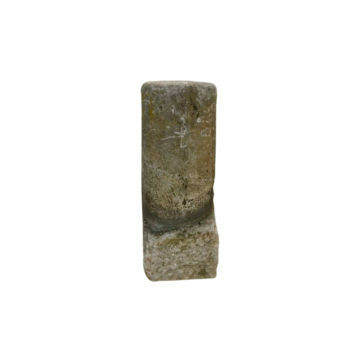 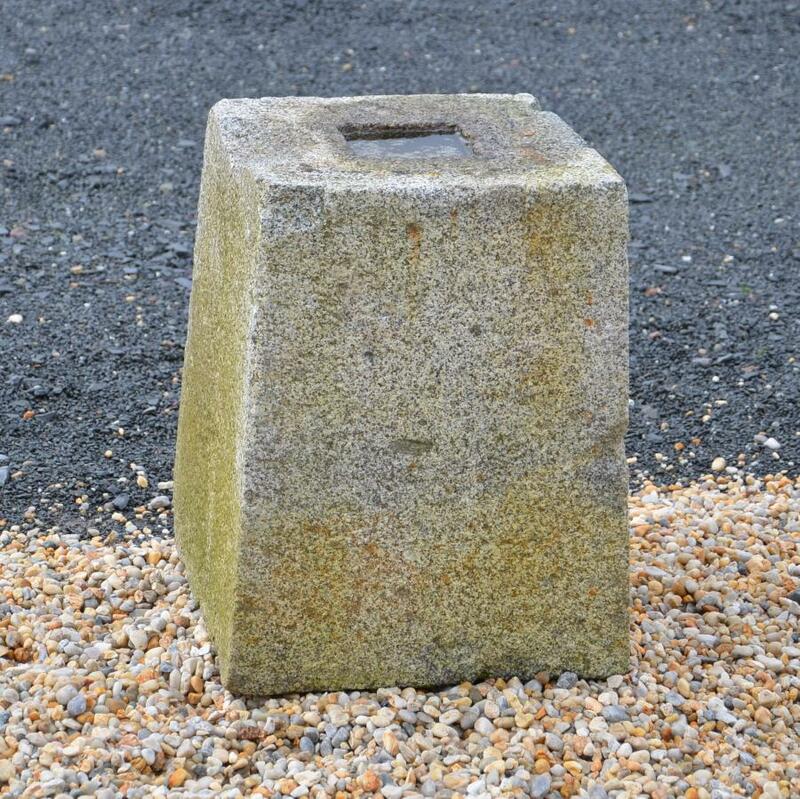 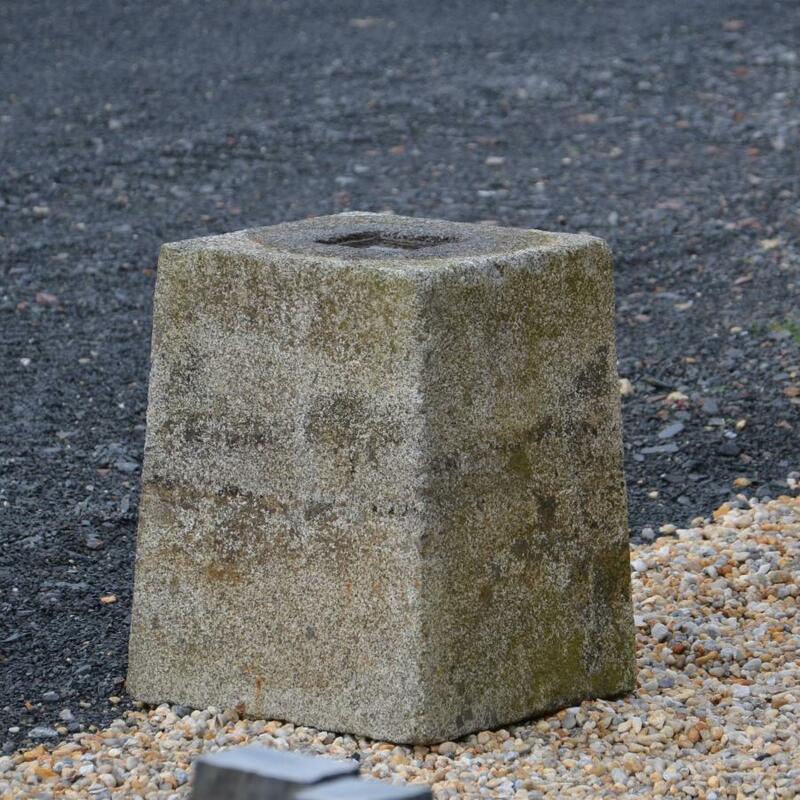 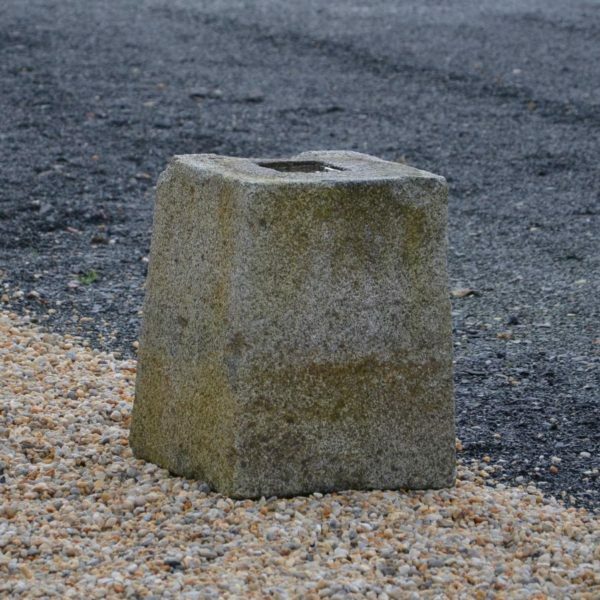 Antique French granite plinths originally used as foundation supports for oak pillars in barns, often re-used for protecting garden areas along driveways etc. 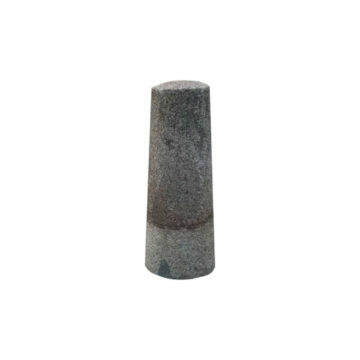 Dimensions approx: at base 40 x 40cm (16 inches square), at top 35 x 35cm (14 inches square) x height 50cm (20 inches). 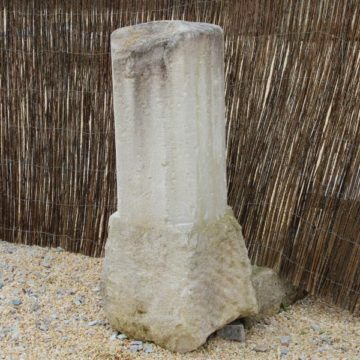 On display at BCA’s Méry Corbon premises between Caen and Lisieux in the Calvados (Normandy).